Vladimir Putin may have overplayed his hand on gas – but no thanks to Berlin and Paris. Russia’s President has used Europe’s dependence on Russian gas as a powerful geopolitical lever. But energy geopolitics is a risky game, especially with the world awash in cheap gas – and Brussels now poised to take advantage of opportunities to permanently slash Gazprom’s market share in Europe. Since Russia first invaded Ukraine last year, Putin has boasted of his ability to exploit natural gas dependency to undermine European solidarity. Indeed, though the continent as a whole relies on Russia for only 30 percent of its natural gas, roughly six states are completely dependent, a gap Putin has worked hard to widen. While Europe’s gas vulnerabilities cannot be easily undone, through better gas market integration they already have been reduced. However, there is another way to diminish Moscow’s energy leverage: diversifying away from Gazprom supplies. And indeed, a handful of well-known projects could achieve just that. But most of these projects have languished, victims to precisely the sort of petty national rivalries and isolationism that the EU is supposed to obviate. 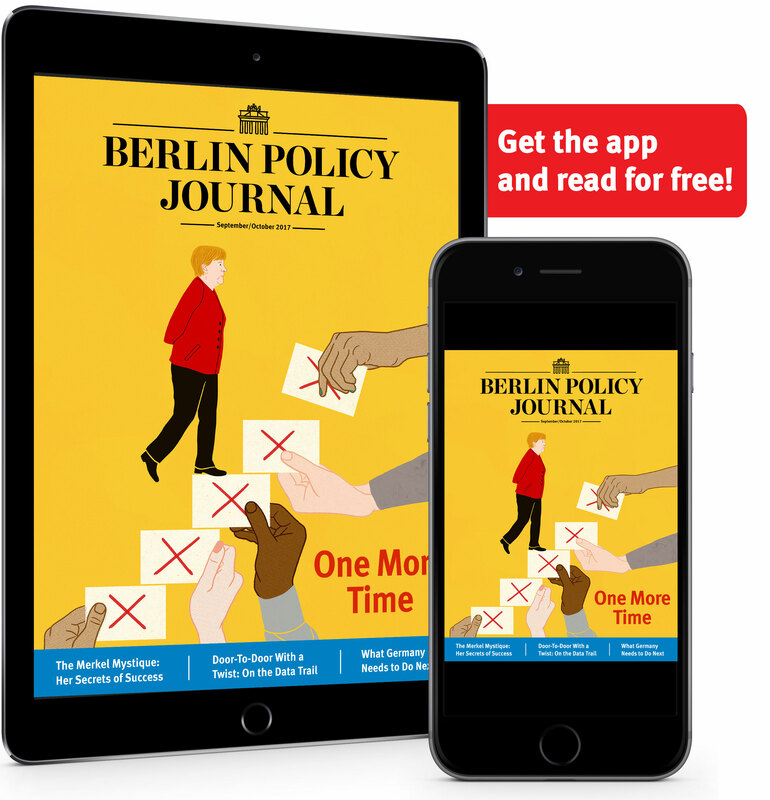 And for whatever reasons, the EU’s heavy hitters – Berlin and Paris – have not pursued the sort of activist diplomacy required to break these logjams. Nevertheless, advances have recently been taking place; and it is interesting to see where the leadership is coming from. One such logjam has long kept Spain and Portugal isolated as a gas “island” apart from the rest of the continent, greatly diminishing the ability of Algerian gas to enter the E.U. market. This is finally ending. While Europe has only 21 LNG regasification terminals to receive gas from the global market, eight are on the Iberian Peninsula – seven in Spain, more than in any other EU state, and one in Portugal. In addition, Spain receives pipeline gas from Algeria from across the Mediterranean. But these LNG and pipeline facilities have large unused capacities. The reason more gas has not been imported through Spain and Portugal into continental Europe is that large energy firms in France have for years blocked construction of the necessary pipelines over the Pyrenees and across France, fearing competition to their domestic energy business. They similarly opposed electrical transmission wires from Spain until recently. At present, there are two pipelines to France, Larrau and Biriatou, with only 5.36 billion cubic meters (bcm) capacity. Completing another – the Midcat pipeline, on the list of EU priorities projects – would provide another 12 bcm, enough to replace 7.5 percent of Europe’s Gazprom imports, but construction has long been stalled only 70 kilometer from the French border in Cataloñia. However, Brussels’ new energy commissioner, Miguel Arias Cañete, took an activist stance upon coming into office, and convened talks with France, Spain, and Portugal. The idea was to unlock the potential of Algeria – the world’s seventh largest gas producer – to send much more gas to Europe. Algeria’s pipelines to Spain and Italy are now used at only about half their capacity. And, while Spain consumes only about 25 bcm domestically, its LNG facilities alone have a capacity to import 60 bcm. Spain’s energy minister has emphasized that, if allowed to build the required infrastructure, Spain could, in the midterm, provide about 50 bcm to Europe, which could replace about 40 percent of the gas now imported from Gazprom. In June, Cañeta’s active efforts paid off with a three-party agreement to complete Midcat. Its capacity will be in addition to an upgrade of the old pipelines to 7.1 bcm, set to come online later this year. Two other projects widely seen as success stories in diversifying European gas supplies are the new LNG import facilities in Lithuania and Poland. 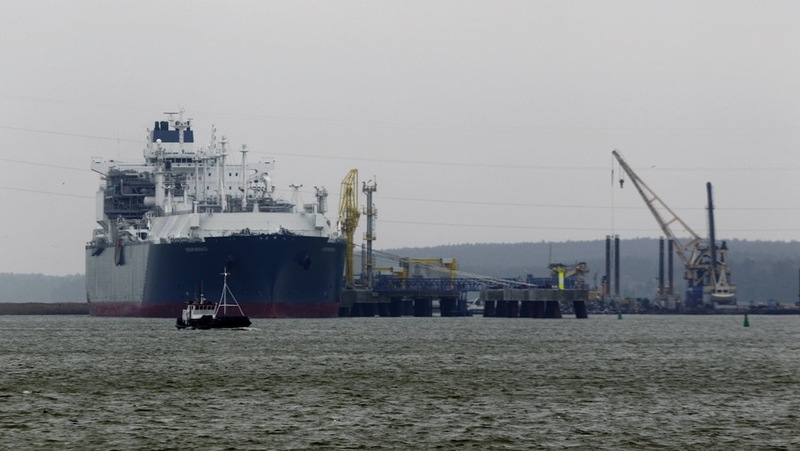 In the case of Lithuania, to get a facility up and running quickly, the Klaipėda LNG floating storage and regasification unit (FSRU) was purchased and began operations on 3 December 2014 with a capacity of 4 bcm. Only the fifth such facility in the world, this ship provides the first competition for Gazprom in Lithuania, and has already spurred it to lower its pipeline price by 23 percent in recent negotiations. A new LNG regasification facility will also come online in Poland in the second quarter of 2016, at Świnoujście on the Baltic near the country’s western border with Germany, with an eventual capacity of 7.5 bcm, or about half of Poland’s gas demand. Again, the alternative supply is expected to lead Gazprom to offer lower prices. Lithuania and Poland are no longer isolated from the world’s gas market. But energy security is a market externality, and these are expensive projects – Poland’s cost about €950 million, while Lithuania’s ship is leased for 10 years with the option to buy. These projects were not seen as commercially viable and required subsidies. However, even if these LNG facilities were never actually used, experts feel that the money saved in each country from the lower prices they forced Gazprom to agree to should be sufficient to recoup the cost of each country’s facility. The key here is that each is a project within a single nation state, so the necessary transference of funds can be accomplished. In the EU, however, a major problem is that the costs of such projects are generally not incurred in the same nation state where the resulting price and security benefits accrue, and there is no mechanism to transfer the funds between states. An example of the sort of impediment still encountered is in Croatia, a EU member since 2013. Here, an LNG import facility long sought for Krk Island would provide much more gas than small Croatia can absorb, meaning it would only be viable if pipelines enabled the country to sell excess gas to its neighbors. In fact, the idea is that Poland and Croatia would construct a distribution network running between their LNG facilities. Gazprom’s supply dominance is already being chipped away from the north and south by two initiatives. Statoil, Norway’s state company, has long advertised itself as an alternative to Gazprom, and the push is now paying off; in the first quarter of 2015, Statoil’s exports to Western Europe “convincingly” exceeded Gazprom’s for the first time save a brief period in 2012, marking a significant step for European supply diversity. And from the south, the Southern Gas Corridor pipeline, beginning in 2018, is set to bring 10 bcm of non-Russian gas from Azerbaijan, with plans to increase capacity significantly in ensuing years. The project is to traverse Turkey as the Trans-Anatolian Natural Gas Pipeline (TANAP) and continue across Greece and Albania as the Trans-Adriatic Pipeline (TAP), terminating in Italy, with later spurs possibly bringing gas as far north as Austria. Putin is making special efforts to scuttle it by redirecting a planned larger Gazprom pipeline – the South Stream, which was originally to enter the European market via Bulgaria – to pass through Turkey (now as “Turkish Stream”) and continue on across Greece, where an agreement was signed by the new Syriza leadership. This hastily re-organized Russian project aims to pressure Ukraine by establishing yet another link circumventing it, and to scuttle the EU- and US-backed Southern Corridor project. However, Southern Corridor has firm commitments – long-term contracts – signed with suppliers and consumers, while Southern Stream, although planned as a much more grandiose affair, remains sketchy on such details. Who is Taking the Lead on Energy Security? The projects cited are all proving to be within the realm of the possible, even though most have spent years in limbo. A big part of this is, once again, narrow national economic interests. For example, the disparity between the security of Germany’s Russian gas supplies via Nord Stream, which Putin scrupulously avoids interfering with, and the precarious nature of other states’ supplies delivered via Ukraine is something often cited by vulnerable states as the material basis for different perceptions of the Russian energy-security threat. In fact, the “flagship” agreement signed in mid-June at the annual St. Petersburg International Economic Forum was a deal to double Gazprom’s exports to Germany via Nord Stream, bringing it to a whopping 110 bcm. Clearly, this will greatly bolster Germany’s role as a European hub for Russian gas and undermine diversification of European supplies. Meanwhile, France’s years-long pursuit of narrow economic self-interests in blocking Spain’s access to the European gas market has been especially egregious. Putin is not relenting in his attempts to use Gazprom supplies as a geopolitical lever, and the war he is fueling in Ukraine continues to generate concern for supplies transiting that country. 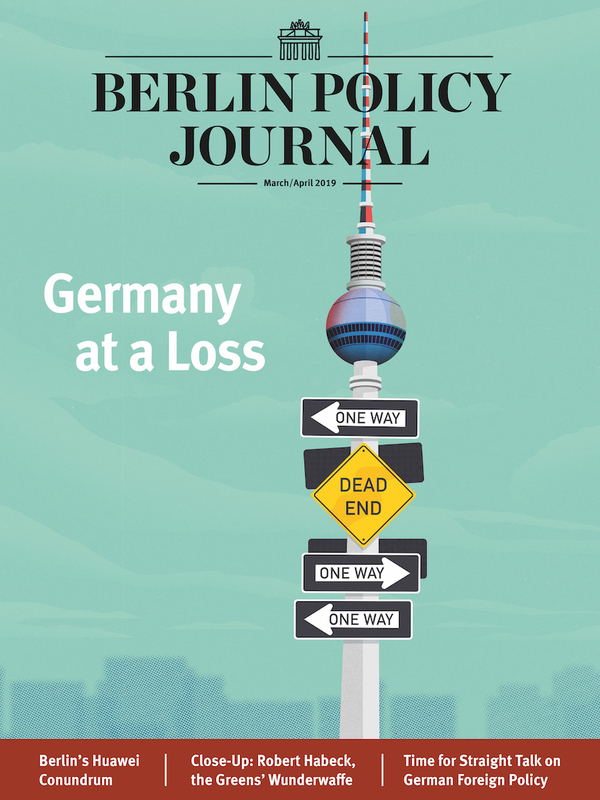 While the US has in recent years increased its energy diplomacy capacity on these questions and has advantages as an “honest broker” between some EU states with old enmities, Washington is at a disadvantage compared to EU heavyweights Germany and France. Be that as it may, others are taking action, and though it is early days, Putin may find that he has overplayed his hand on gas. While it remains easy to chide Brussels for bureaucratic dysfunctions on energy and geopolitical matters, it is evident that Russian policies have provoked a focusing of resolve in the team leading the new European Energy Union (EEU), as well as in the leaderships of the most Russian-gas-vulnerable states. Recent progress on high-value but long-stalled energy projects shows the potential for permanently slashing Gazprom’s market share – and with it Moscow’s gas-based geopolitical leverage.